[toc]Stress and stress symptoms are common problem faced by most of us these days. It is a cause of hectic lifestyle that modern life brings with it. It is a feeling of being overloaded with various factors that a person cannot cope with. Stress can take place due to various reasons in once life and can be coped differently for individuals well being and happiness. 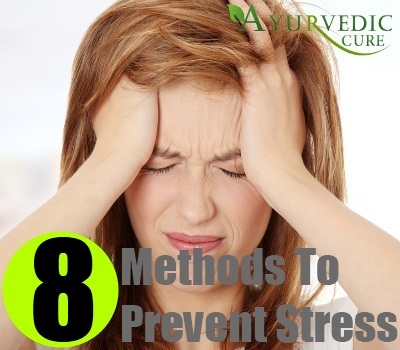 It is on individuals hand to prevent stress or get stressed with pressure that he/she has to face in life. It is said that life becomes simpler if one learns to handle stress and the person is at peace with himself and other people around. It is good to breathe properly to start feeling relaxed. One should always practice good breathing techniques to feel less stressed. It has been researched that when an individual is stressed or tensed he/she starts breathing shallow, so if one consciously changes the breathing pattern to deep ones while in stress, can help reduce its level considerably and make the person feel much better. You just need to focus on your breathing. You need to notice that you are inhaling air and then exhaling. The mind should be focused on breathing pattern for some time and one instantly starts feeling relaxed. Meditation is not boring and it also does not been sitting in awkward positions and chanting. It rather is one of the best ways to relax your mind and feel good with whatever you like doing. It includes walking, swimming, knitting, painting and many more activities that involves your mind to be in the present moment in a pleasant way. With practicing them every day as a hobby or liking one can even achieve a level where stress reduces and do not bother them. This can be done for few minutes or long hours depending on individual requirement. If you still think that you are too restless to meditate then you can simply take your mind in the fantasy world for some time and feel better. If one starts thinking about things that make him/ her happy that also has positive effects on stress level reduction. This is also called dreamscape where one starts visualizing things that are good, happy and positive. It could be anything like a good holiday, a romantic dinner with boyfriend, a penthouse you want to buy or simply a beautiful piece of necklace you are buying next. Yoga exercises have been known for its distressing elements. They calm your mind and soul and give long lasting results by reducing anger, anxiety and other negative feelings in the body and increases positive thoughts and improve well being of the body. Yoga can be done as per ones convenience but should be learnt from a learned person who knows the right postures and should be regularly for good benefits. Yoga is beneficial for stress relief for all age groups and can be easily done at home. Yoga is especially good for elder people who require calming there mind on a regular basis. This is one of the simplest ways to prevent stress bother you. Whenever one feels bothered or stressful, listening to good music is a good prevention and cure. Everybody listens to music either when they are partying or when then have nothing to do, but music plays a vital role in relaxing the mind and cheering the mood. But it is important to choose the right music and not listen to sad songs to help you distress. 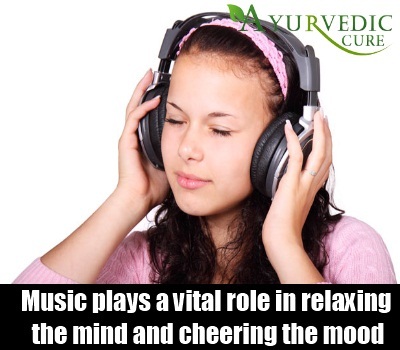 Music listening can do wonders in preventing stress because mind is then able to take up pressure and deal with it in a better way. A non relaxed mind tends to get stressed more than a relaxed mind. Another very good prevention of stress is talking your heart out. Most of us try hiding our problems and tensions in order to not bother dear ones but in turn increase our own stress level. So mixing up with friends and families and talking to them always reduces the intensity of the problem and does not lead to stress. Sharing is the best way to feel happy and not bothered. Going for regular outings, movies, and vacations help one to relax and prevents stress from building up. Meet people who make you happy and not vice versa. This is very important. Whatever be your profession it is a must to take regular holidays for avoiding tension to built up and hamper your well being. 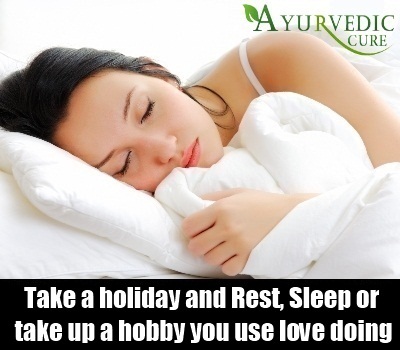 Taking holiday could include just chilling at home, resting, sleeping or taking up a hobby you use love doing but could not continue because you did not get sufficient time. Holiday could also mean spending time with your family on a more frequent level and most importantly means going for a holiday away from your city for few days to get the feeling of a different life that boosts your energy and refreshes you. Junk foods and aerated drinks are associated to increase stress and reduce body’s capacity to deal with it. They temporarily help you but on a long term is harmful and so one should avoid consuming them to feel happy. The more you get addicted to them the more would you suffer later so it’s best to avoid them and prevent stress completely. Following these simple ways can help you tremendously.